Cake in a minute? 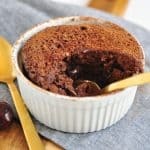 That’s what this Flourless Nutella Mug Cake is! 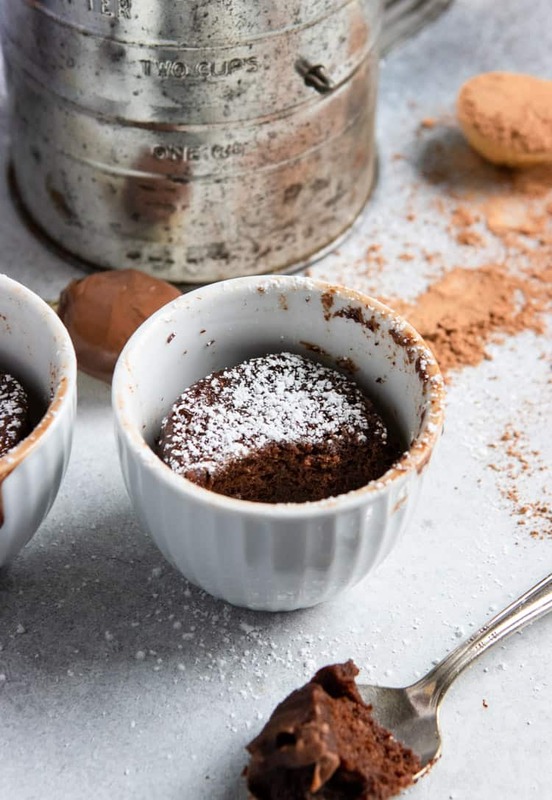 Sweet chocolate and hazelnut bring out the best in this simple rich and moist microwaveable cake! I don’t use our microwave a ton, but when I do, it’s because I need something and I need it fast. Chocolate cake should go in that department, right? I saw a recipe on Pinterest that included nothing but peanut butter, sugar and an egg. It was as simple as whisk and nuke. 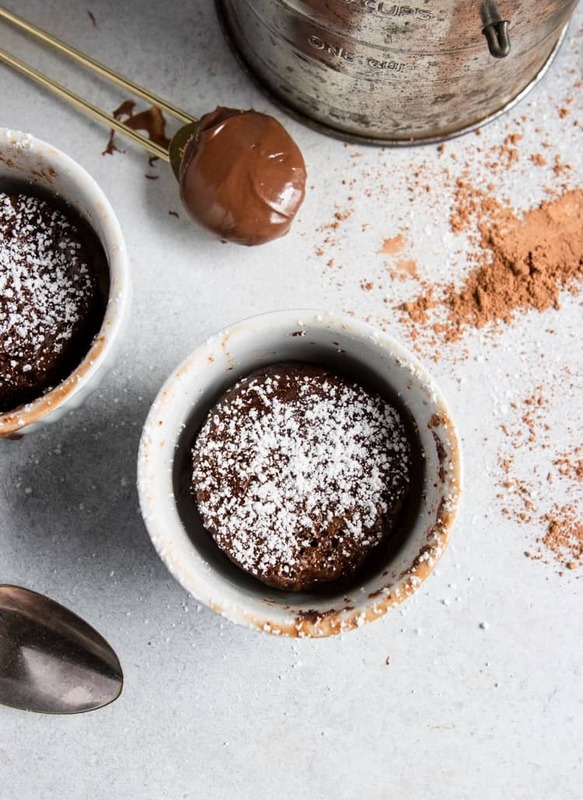 This Flourless Nutella Mug Cake is right up in that department. Whisk and microwave. That is it! That literally means you are only minutes away from rich, chocolatey, Nutella cake goodness! What in the world are you waiting for??? Get out the whisk, stat! This recipe is no joke. 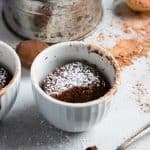 You literally whisk the Nutella, a hint of sweetener, vanilla, cocoa powder, and egg, pour it into a mug, and microwave. That. Is. It. Too good to be true?! It’s not, I promise! And if you are like me these days, there really can never be enough chocolate, so you can drizzle the cake with a touch of chocolate sauce perhaps? Ice cream, definitely go with some ice cream as well. All microwaves are different so the you may need to cook yours a touch longer or not as long. I keep a pretty good eye on mine and you can tell when it’s about ready because the cake will rise and it will not look wet any longer. In these pictures, I was using smaller containers. I split one recipe into 2 little containers versus making a double batch for a regular sized mug. I took a major chance because the amount of rising almost was a big old mess. If you can use a mug with some depth, that is great. After it is done cooking it lowers down a lot. Not a fan of or don’t have a microwave? You could certainly cook this in the oven but I haven’t tased for exact times so I will get back to you on that one! Sweetener: since Nutella and most chocolate hazelnut spreads are already sweetened, you won’t actually need too much but a little still is really nice to round out this rich treat in my opinion. IT will cut some of the bitterness from the cocoa powder for sure. 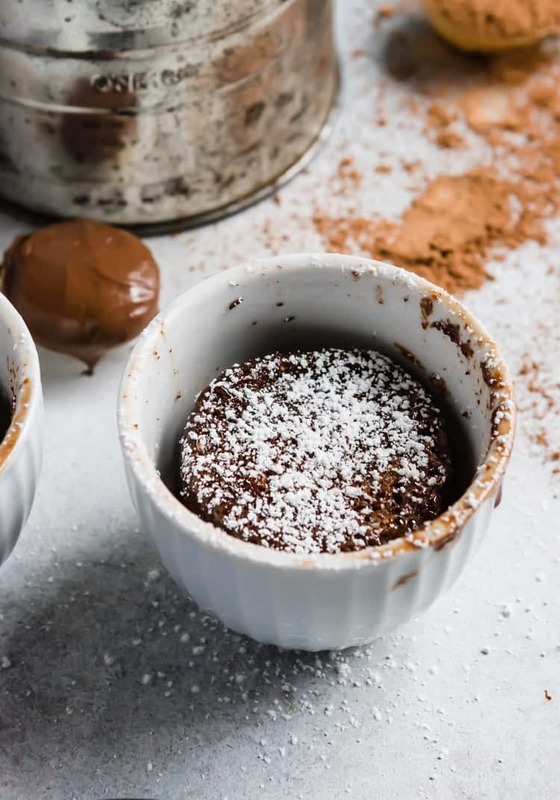 Nutella is not dairy free but this recipe is definitely gluten free for those who may need to avoid gluten! Microwave for 45-60 seconds. It will expand pretty high so look out!!! If you want this super fudgy, stick more to the 45 seconds side. 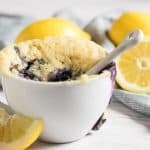 Let cool for several minutes and then eat it straight from the mug if you like!